Against the red brick wall, a big bookshelf – filled with as many random objects as with books -, and surrounded by a little sofa and vintage carpet, has us feel as though we’ve just stepped into a millenial’s apartment. The small bistro marble tables, the Formica chairs and the few freelancers half-hidden behind their computers remind us we’re in a café, and a rather cozy one, between Albert and Van Meenen squares. 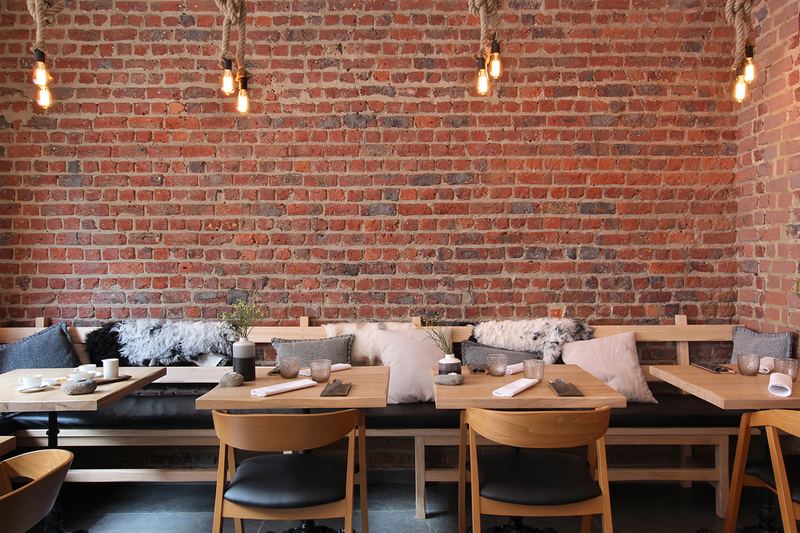 What a great surprise to come across Coquum (pronounce cokoom), a cozy fine dining restaurant with yet an affordable menu in the heart of Stockel. The restaurant, small and charming, has enough tables to welcome 20 people max. The previous Gyozaria bar was completely renovated by the new owners, and red bricks, light wooden tables, leather cutlery cases and comfy rugs have now taken over. The result is a mix of Scandinavian design and Country charm, with natural and raw materials, just like the chef wanted it. Yet another bar with an all-day-long concept just opened in Brussels: from morning coffee, through daily special and after work tapas all the way to cocktails to start the night. 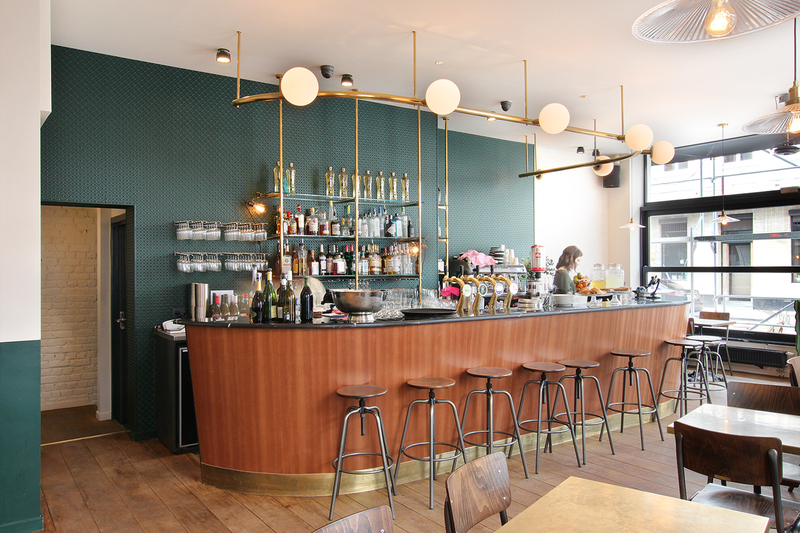 A concept proved quite successful in numerous bars we love, such as Chez Richard, Café des Minimes, or Tulipant – to name just a few – allowing just anyone to walk in at any time of the day. Why is this new opening brilliant? 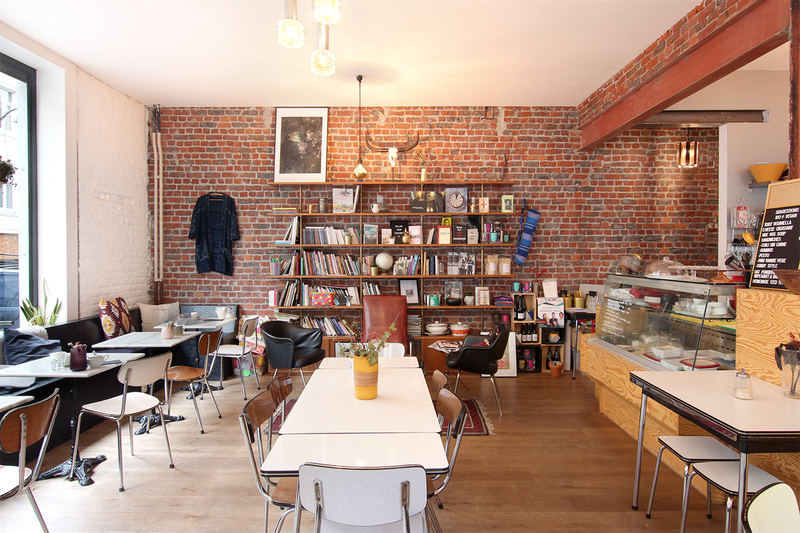 Because this type of bar was surprisingly still missing in the Bailli-Châtelain area, and because they offer the smoothest transition between a working café and a proper bar for evening drinks. We were welcomed by Sabrina, the Mama, that day at Basils. In Belgium for just a few weeks, her mission is to form her team down to the tiniest detail, before going back to Rocemontepiano, her home village in the Abruzzes. 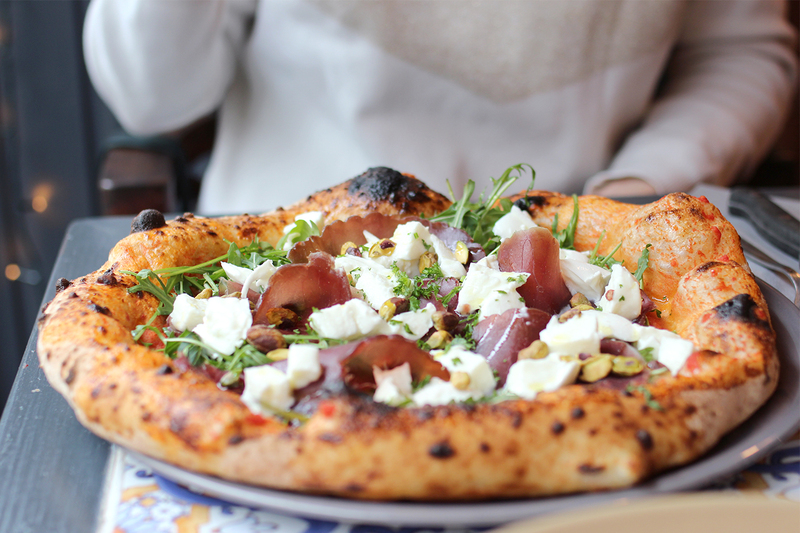 Basils is the third restaurant of this family from the center-east of Italy, the first in Belgium, and the first making pizza – the Napolitan way.